Are you an amateur disc golfer looking for a chance to compete on a regional and national level? The 2019 Next Gen Tour is your ticket. Innova supports amateur players everywhere and is thrilled to sponsor the 2019 Next Gen Tour. What is the Next Gen Tour? The Next Gen Tour is an amateur-only disc golf tour that holds events nationwide. The tour gives amateur disc golfers the opportunity to compete in high-quality, regional events and earn points and qualify for Next Gen National Championships. New for 2019, players can earn points for the Virtual Challenge where the top point earners in each region and nationally can win prizes. The Next Gen Tour is supported by several sponsors and top athletes including Innova’s own 2x World Champion, Ricky Wysocki and Lisa Fajkus. 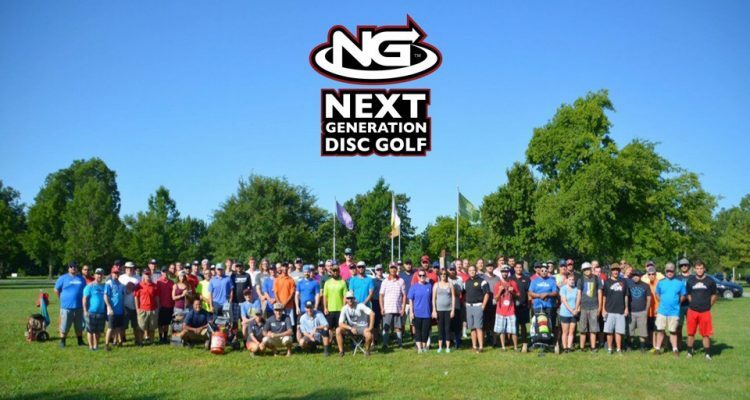 For 2019, the Next Gen Tour partnered with the Educational Disc Golf Experience (EDGE) program, a 501(c)(3) non-profit program that teaches disc golf as a fun, easy-to-learn lifetime sport to young people. EDGE will receive a $2 donation for every player attending an NG Exclusive-level event. The 2019 Next Gen Tour has many new changes meant to enhance the player experience. Learn more and stay up to date by visiting Next Gen Tour.